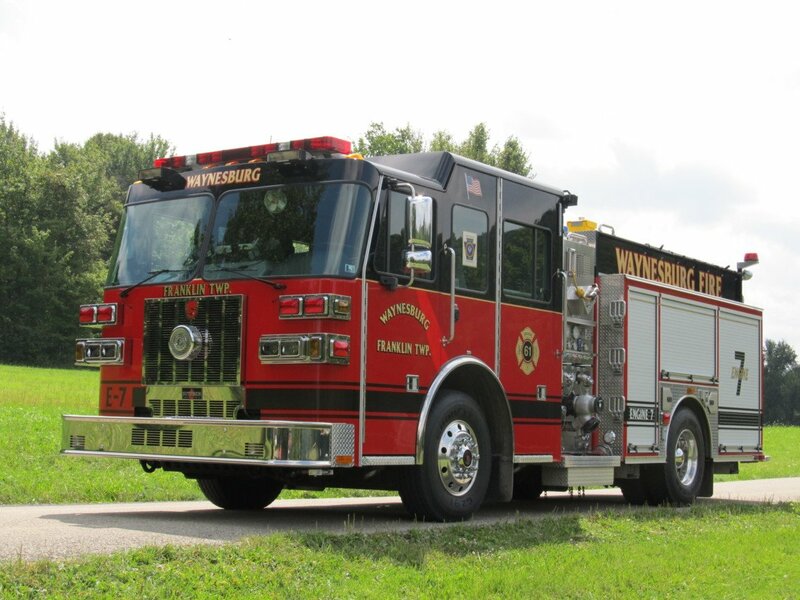 Following the events of the tragic Downey House Fire, Waynesburg Borough Council purchased this engine at a cost of $12,500. Originally known as Truck No. 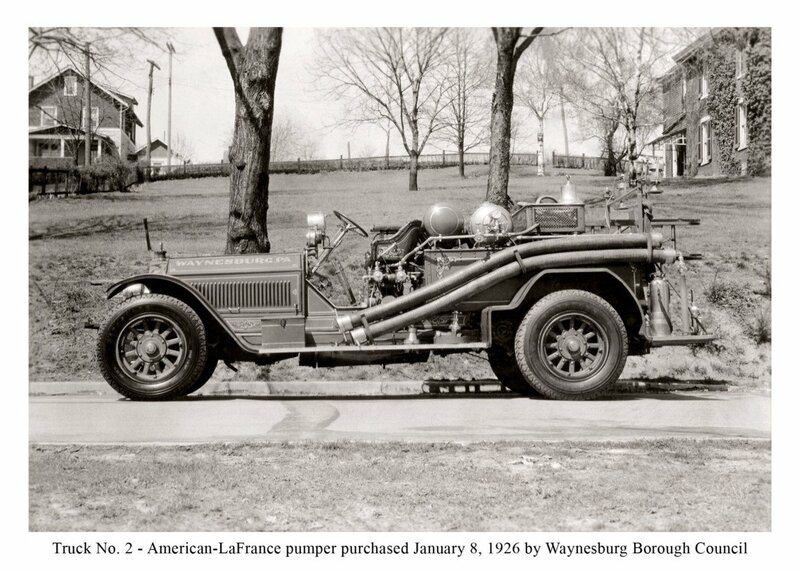 2, this 1925 American-LaFrance type 75 , triple combination pumping, chemical, and hose car, is equipped with a 750 gallon per minute capacity rotary gear pump, a six cylinder T-head engine capable of 105 horsepower. Other unique features of this truck are: a dual ignition furnished by a high tension magneto and an auxiliary battery system, a 40 gallon Champion chemical tank, three speed manual transmission with a chain driven rear axle, and wooden wheels. The Waynesburg – Franklin Twp. 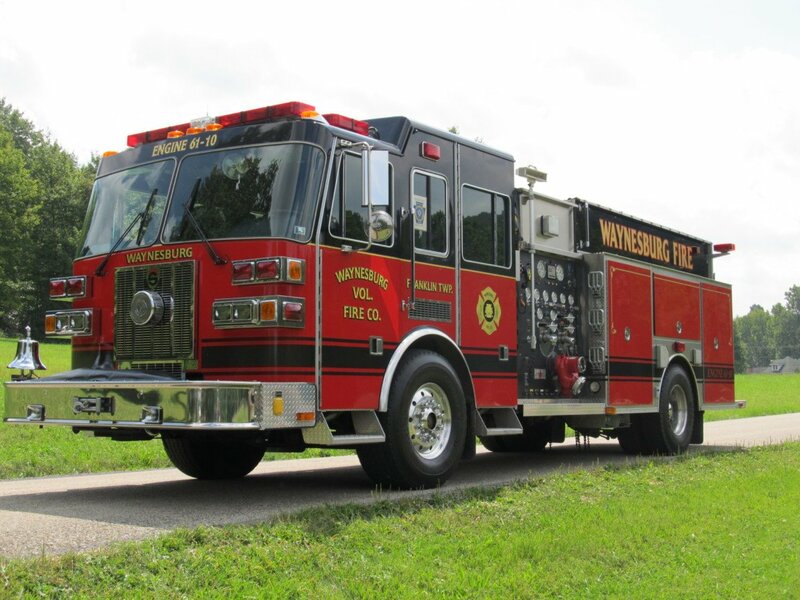 Volunteer Fire Company has continuously retained ownership of this vehicle since its formation. This cherished piece of our history has undergone restoration efforts in 1955, 1978, 2008, and most recently in 2014 when it was completely restored at a cost of $150,000. The restoration was performed by Ron's Garage in Eighty-Four, PA. It can be seen through the windows of the Annex Building were it is proudly displayed and also in various parades and festivals where it is a favorite of many judges for being the oldest authentically restored engine. 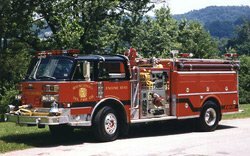 2000 Sutphen Pumper, cost $308,000, 2,000-GPM pump, 1,000 gallons of water This engine is housed at the Waynesburg Station. 1995 Sutphen Pumper, cost $257,819, 2,000-GPM pump, 1,000 gallons of water This engine is housed at Franklin Station. 2013 Sutphen Pumper, cost $420,000, 1,750-GPM pump, 750 gallons of water. This engine is housed at Franklin Station. 2004 Sutphen 95 foot Tower Platform with a 1500 gpm pump and 500 gallons of water This Tower is housed at the Waynesburg Station. 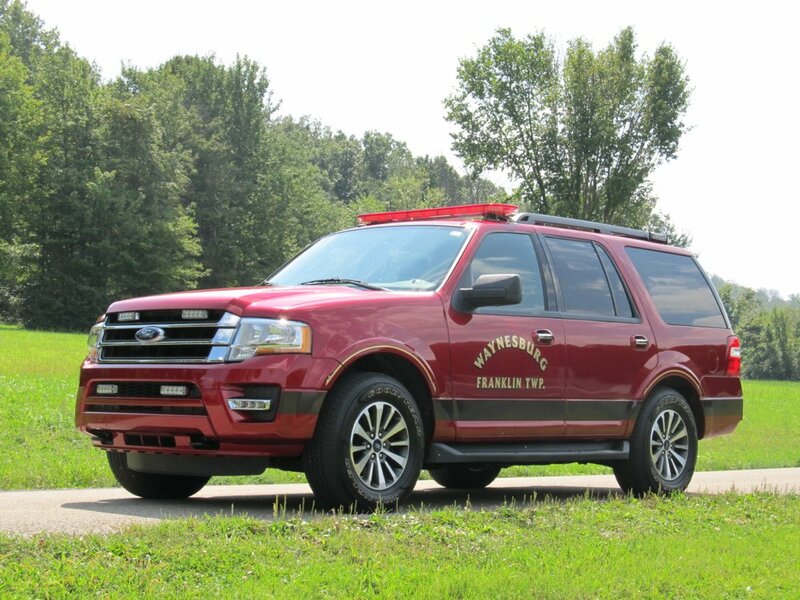 2000 Ford Expedition This vehicle is used as a Chief’s car and mobile command post. 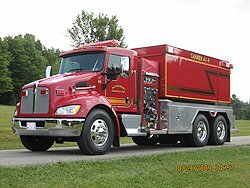 2009 Kenworth 3000 Gallon Tanker, This truck has a 3000 Gallon Polytank and a 500 GPM pump. The chassis is a 2009 Kenworth with a 360 HP Cummins Engine and Allison Automatic Transmission. 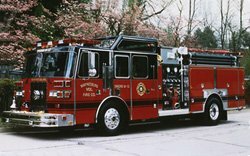 It was purchased from Fouts Bros. Fire Equipment in Atlanta, Georgia. This tanker is housed at the Waynesburg Station. 2000 Kenworth Chassis with rescue body. 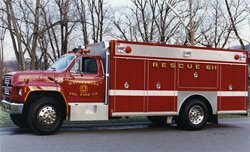 This rescue was purchased in 2016 from the Kingwood Volunteer Fire Company in Kingwood, West Virginia, for $45,000. It was then sent to Ron's Garage to be painted and updated for our use. This unit is housed at the Waynesburg Station. 2001 F350 Ford Pickup This vehicle is used to transport fire fighters and equipment to and from incidents. It is housed at Franklin Station. 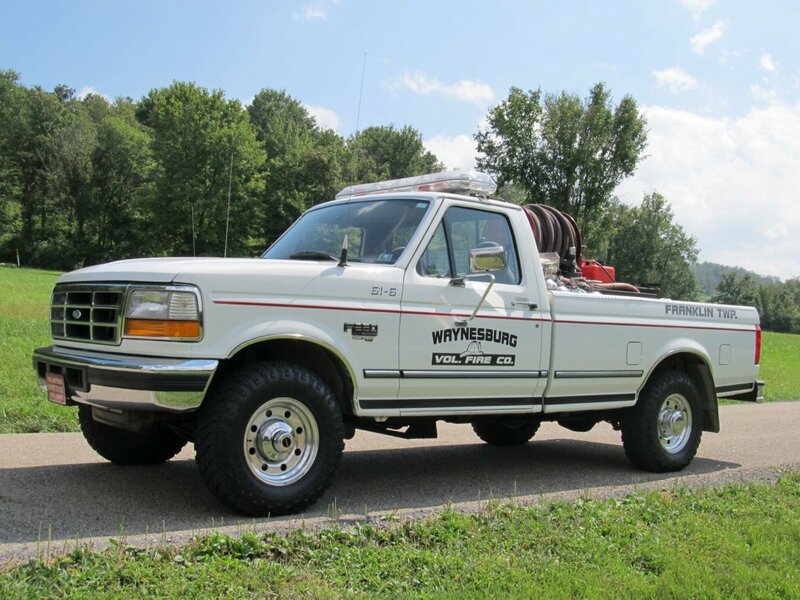 1996 Ford F-250 Pickup This Brush truck contains 250 gallon water tank with a pump. This unit is housed at the Waynesburg Station. 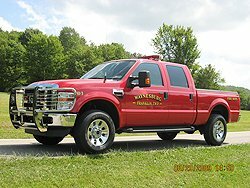 2008 Ford F350 Pickup Truck. This vehicle is used to transport fire-fighters and equipment to and from incidents. This unit is housed at Waynesburg Station. 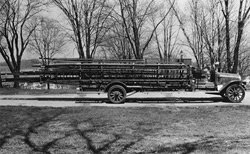 1917 Commerce Fire Truck mounted on two-ton Graham Truck Chassis. 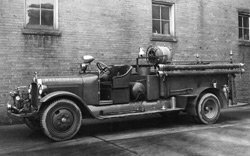 This apparatus was the only Borough Fire Truck at the time of the Downey House fire on December 23, 1925. However, it lacked a self-starter to be of any help from its stored location behind the courthouse. The borough had purchased it through the Mt. Morris Motor Company for $1,900. When the company formed in 1926, they had the two-ton Graham Truck Chassis mounted on for $1,500. It stored ladders, 150-feet of chemical hose, 1,200-feet of water hose, a 40-gallon chemical tank and two portable chemical tanks. Along with the equipment, eight men could be transported between locations. The last recorded active use of this vehicle was only four times in 1937. 1937 White Chassis, cost $1,575, acquired March 1, 1937 This vehicle purchased from Gordon Wood in November 1936 and taken to Mt. Pleasant to have the body mounted for an additional $990. It was later sold to the Wheatland Fire Company in 1951 for $1,250. 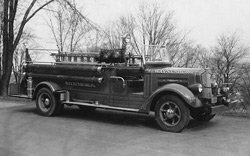 1930 Mack Ladder Truck, cost $1,000, acquired 1931 Purchased from the American LaFrance and Foamite Corporation, this truck had originally been the #1 ladder truck of the Rutherford, New York, Fire Department. 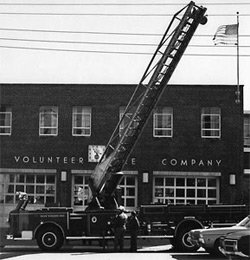 The truck was sold in 1948 by the borough and the ladders were removed and placed on the west wall of the engine house. 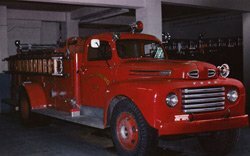 1947 American-LaFrance Pumper, cost $12,319, 750-GPM, acquired October 16, 1947. Originally known as Truck No. 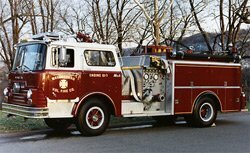 5, this pumper was later sold to Morris Township Volunteer Fire Company in 1976 for $2,000. 1948 Ford Pumper, acquired in 1948 at a cost $10,374, this engine was equipped with a 600-GPM pump. This vehicle, used a Ford-F-8 chassis on which an American-Marsh pump, body and equipment were mounted upon. 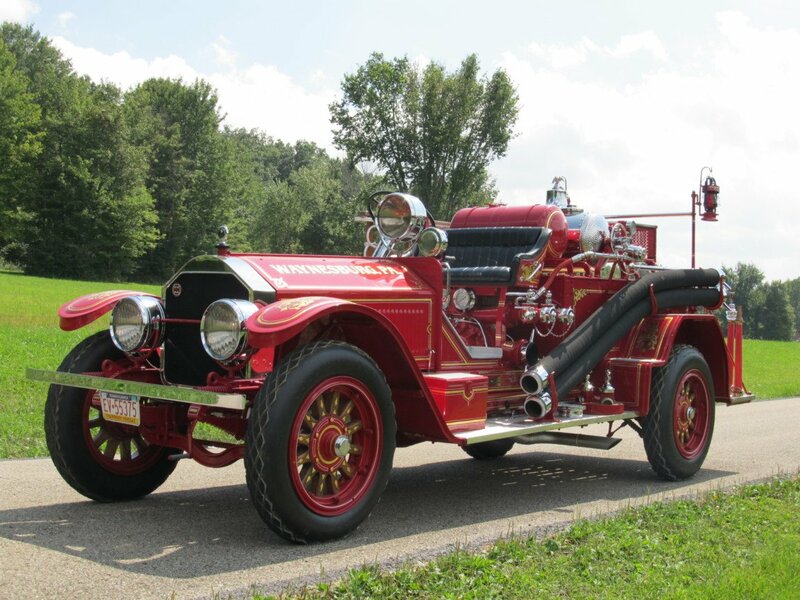 The cost to Fox Motor Company was $4,048 and the cost to the American Fire Apparatus Company was $6,326. In 1968, the vehicle was converted into a water wagon. Later, in November 1980, it was sold at auction for $2,000. 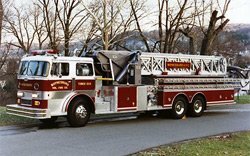 1954 American LaFrance 75-foot Ladder Truck, Acquired 1976 at a cost $20,001, this ladder truck was purchased from the Beaver Fire Company and then sold in 1987 to the Carmichaels and Cumberland Township Volunteer Fire Company for $5,000. 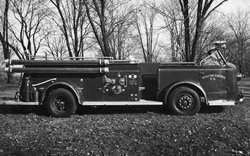 1968 Mack Pumper, purchased in 1968 at a cost $27,930, this engine was originally equipped with a 1,000-GPM pump and 500 gallons of water. It was refurbished in 1986-1987 for $30,000. Later it was sold to Bobtown Volunteer Fire Company in 1995 for $32,000. 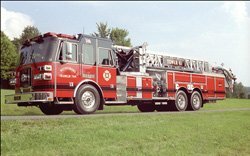 1969/1988 85 Foot Sutphen Aerial Tower Acquired in 1988, this refurbished 1969 Sutphen 85-ft Aerial Platform, cost $185,000, 1,500-GPM pump. 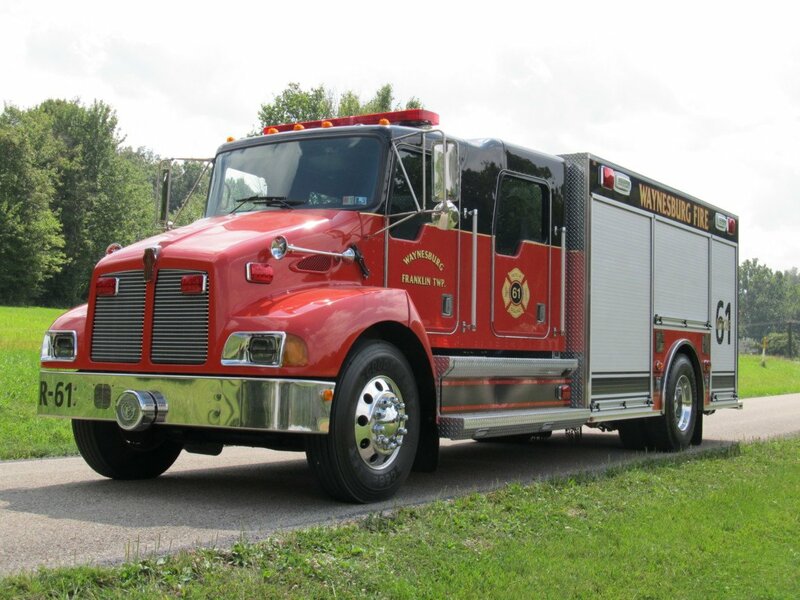 Sold to Carmichaels-Cumberland Twp Volunteer Fire Company in 2004. 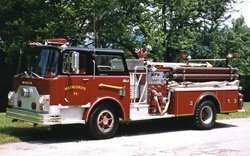 1970 Mack Pumper, purchased in 1970 at a cost $34,957, this engine was equipped with a 1,000-GPM pump and 500 gallons of water. 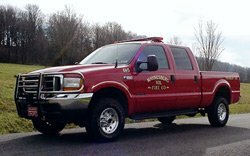 It was sold to Richhill Township Volunteer Fire Company in January 2001 for $16,000. 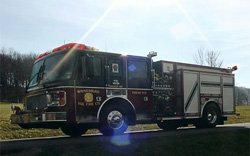 1980 American-LaFrance Pumper,purchased in 1980 at a cost $137,175,this engine was equipped with a 1,500-GPM pump, 1,000 gallons of water and an 8V92T diesel engine and automatic transmission. It was sold to Rices Landing Volunteer Fire Department July 2000 for $55,000. 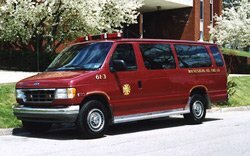 1987 Ford Van was used as people mover. This vehicle was later sold to the Rice's Landing Volunteer Fire Company in 2000. 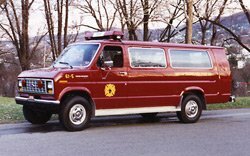 1992 Ford Van, was used to transport fire-fighters to and from incidents. This vehicle was sold to Jefferson Volunteer Fire Company in 2008. 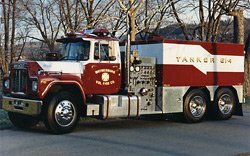 1982 Mack Tanker, acquired in 1990 at a cost of $55,000, It was equipped with a 1,500 GPM pump and 3,150 gallons of water. 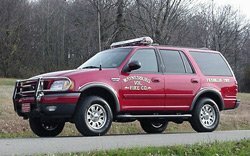 This vehicle was sold to the Amwell Township Volunteer Fire Co in 2008. 1998 American LaFrance Pumper 1750 gpm pump, 500 gallons of water and 40 gallons of foam. This engine was sold to the Rice's Landing Volunteer Fire Company in 2012. 2000 Ford Expedition This vehicle was used as a Chief’s car and mobile command post. It was sold to the Borough of Waynesburg Police Department in 2015. 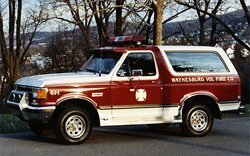 1988 Ford F-700 Ranger Rescue Body, acquired at a cost of $65,000, in 1989. This unit was equipped with an on-board diesel generator, scene lights and Hurst rescue tools. It was sold in 2016 to the Borough of Waynesburg Street Department.